NO CLOTHING is included in the price of the doll. You dress the doll after it is delivered to you. Select a photo that is looking / facing forward. The better quality the photo, the better the finished doll will be. I need a 5"x7" or larger photo and do not crop or resize the photo. 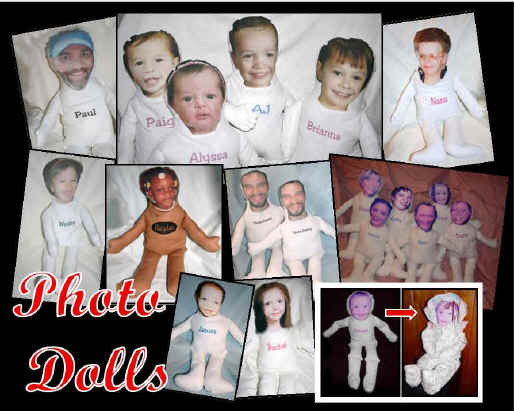 Photo Dolls - Every DOLL is handmade. Please allow 3 to 4 weeks delivery time. Holidays are extremely busy, so please order early. I usually stop taking orders for Christmas the 1st or 2nd week of November. 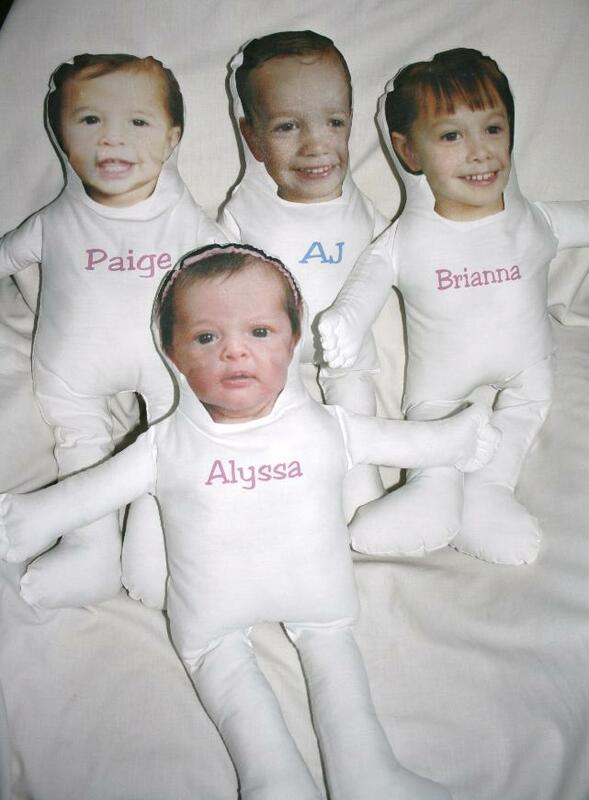 Be sure to include the NAME for the doll and any special instructions. NO CLOTHING is included in the price of the doll. You dress the doll after it is delivered to you. 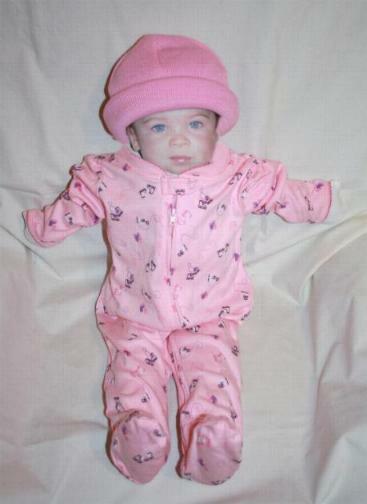 Dolls wear a size 3 to 6 months clothing and infants size hats.